Each year, approximately 170 outstanding scholars are formally welcomed as the University of Michigan's newest class of medical students. 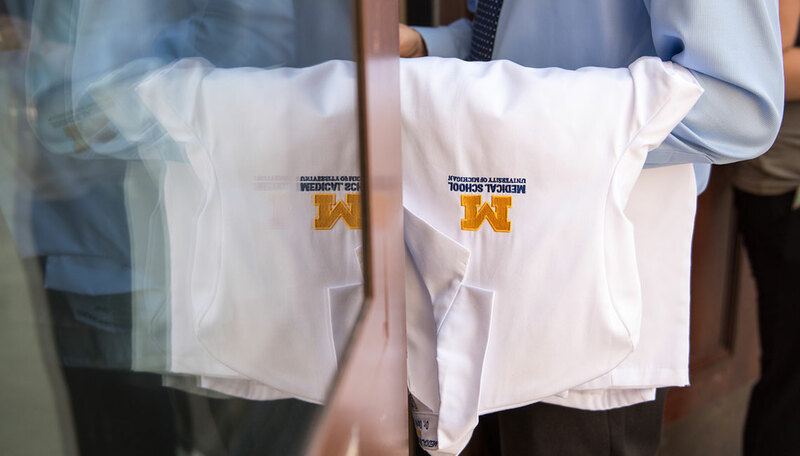 This tradition, known as the White Coat Ceremony, marks an educational milestone: Entry into clinical medicine. On Aug. 2, 2015, our incoming medical students gathered in the presence of their families, mentors, guests, faculty members and leaders of the Medical School to formally receive the cloak of their future profession.